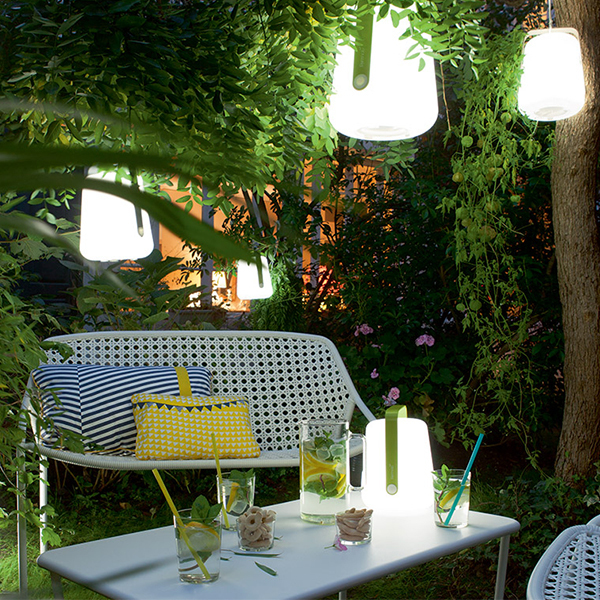 Balad H38 lamp by Fermob can be placed on the garden table, tree branch or inside the house. 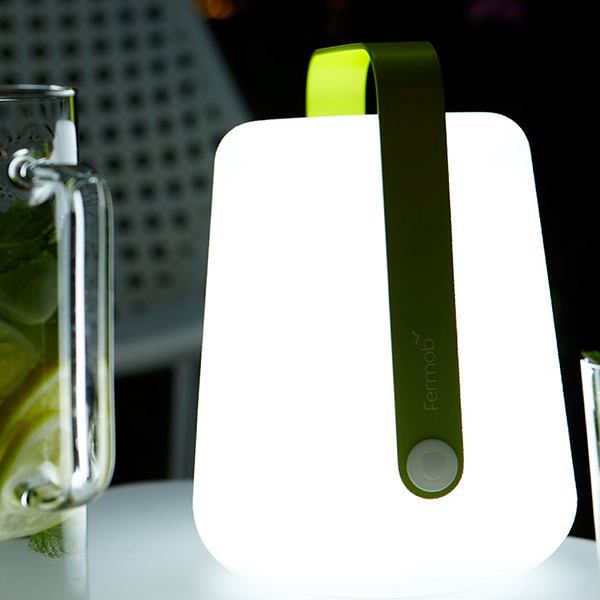 The cordless table lamp has two different lighting intensities and colour temperatures. 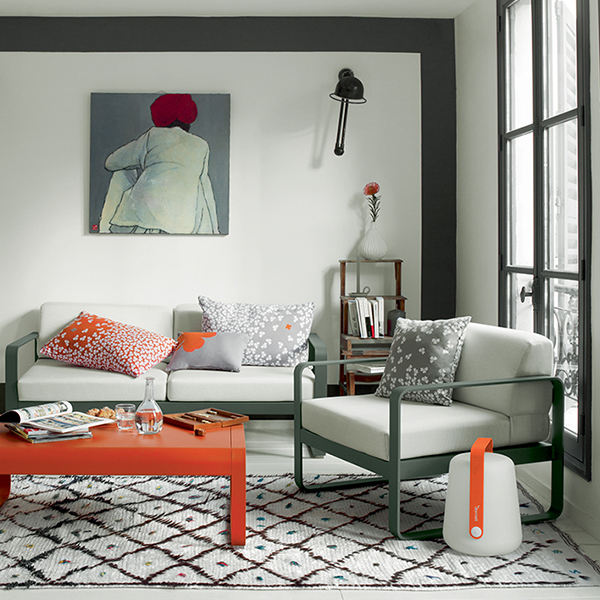 Combined with the separately sold upright stand, Balad will turn into a stylish floor lamp. 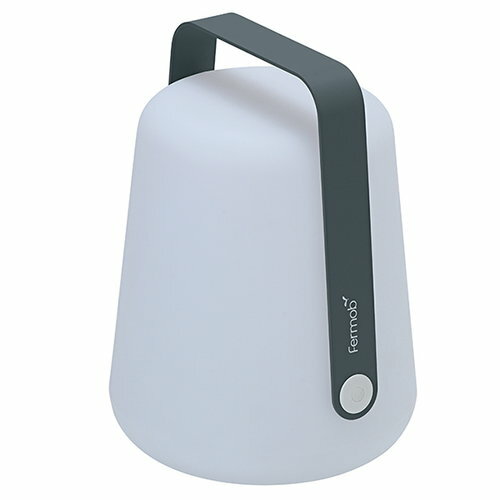 Fermob’s Balad is a fun and versatile light that can be used both indoors and outdoors. With its white streamlined shade and simple handle, the light resembles a pleasant, contemporary lantern. 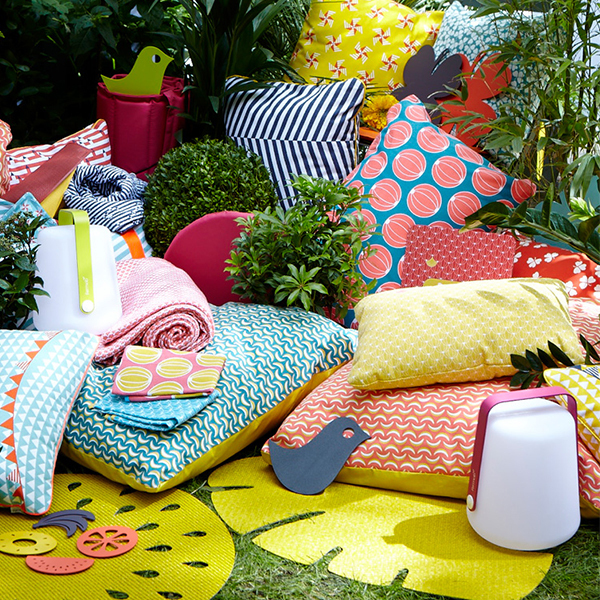 Balad is easy to carry from one place to another since the rechargeable LED technology makes it cordless. 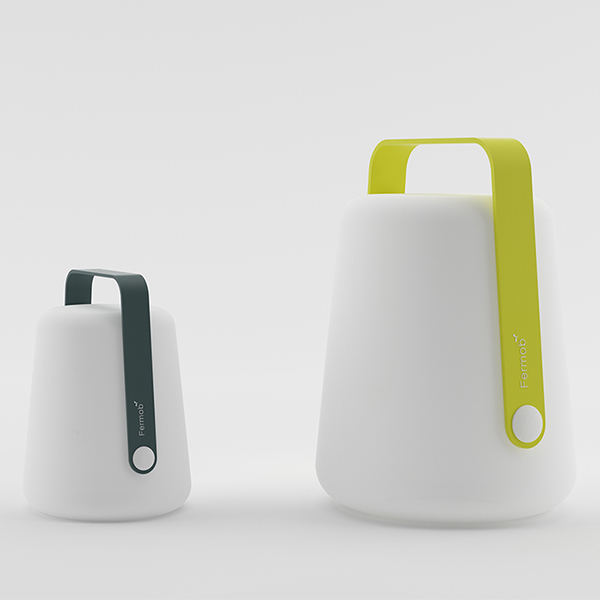 The battery lasts up to 16 hours with one charge. 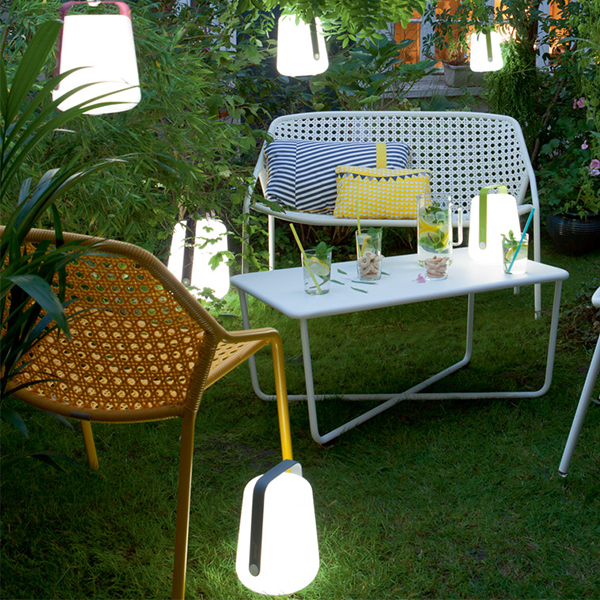 Balad lights up any setting with its white light and vibrant colours and makes a great lamp for terraces, gardens and summer cottages. Battery life 9-16 hours, charge time 4 hours. 2 metre USB-C cable included. Lighting intensity: 100% and 50%.